1.1 Collared shirts and trousers must be of a golfing style. 1.2 Shorts must be tailored, of a reasonable length. 1.4 All players must wear golf shoes. 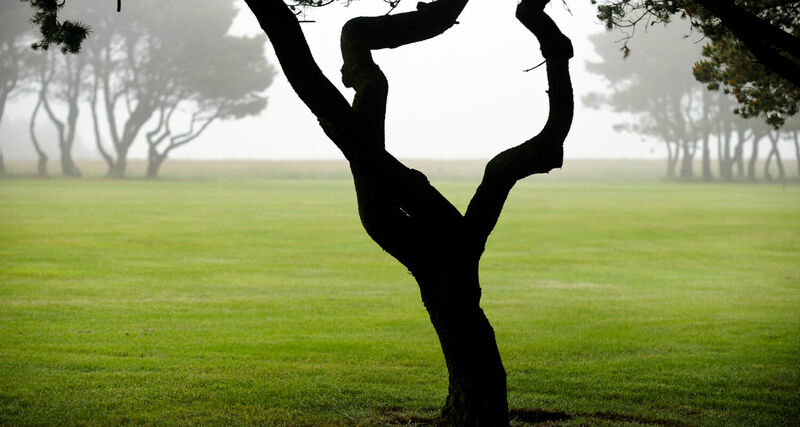 “*clubname” means Bigbury Golf Bay Golf Club Ltd t/a Bigbury Golf Club, Bigbury-on-Sea, South Devon TQ7 4BB. “User” / “Users” means any third party that accesses the Web Site and is not employed by Bigbury Golf Club and acting in the course of their employment; and “Web Site” means the website that you are currently using( www.bigburygolfclub.co.uk) and any sub-domains of this site unless expressly excluded by their own terms and conditions. 3.1 All Content included on the Web Site, unless uploaded by Users, including, but not limited to, text, graphics, logos, icons, images, sound clips, video clips, data compilations, page layout, underlying code and software is the property of Bigbury Golf Club our affiliates or other relevant third parties. By continuing to use the Web Site you acknowledge that such material is protected by applicable United Kingdom and International intellectual property and other relevant laws. This Web Site may contain links to other sites. Unless expressly stated, these sites are not under the control of Bigbury Golf Club or that of our affiliates. We assume no responsibility for the content of such web sites and disclaim liability for any and all forms of loss or damage arising out of the use of them. The inclusion of a link to another site on this Web Site does not imply any endorsement of the sites themselves or of those in control of them. Those wishing to place a link to this Web Site on other sites may do so only to the home page of the site www. *CLUB WEBSITE*.com here without prior permission. Deep linking (i.e. links to specific pages within the site) requires the express permission of Bigbury Golf fClub here. 6.1 Bigbury Golf Club makes no warranty or representation that the Web Site will meet your requirements, that it will be of satisfactory quality, that it will be fit for a particular purpose, that it will not infringe the rights of third parties, that it will be compatible with all systems, that it will be secure and that all information provided will be accurate. We make no guarantee of any specific results from the use of our Service. The Service is provided “as is” and on an “as available” basis. We give no warranty that the Service will be free of defects and / or faults. To the maximum extent permitted by the law we provide no warranties (express or implied) of fitness for a particular purpose, accuracy of information, compatibility and satisfactory quality. Bigbury Golf Club accepts no liability for any disruption or non-availability of the Web Site resulting from external causes including, but not limited to, ISP equipment failure, host equipment failure, communications network failure, power failure, natural events, acts of war or legal restrictions and censorship. 8.1 To the maximum extent permitted by law, Bigbury Golf Club accepts no liability for any direct or indirect loss or damage, foreseeable or otherwise, including any consequential, special or exemplary damages arising from the use of the Web Site or any information contained therein. Users should be aware that they use the Web Site and its Content at their own risk. 8.2 Nothing in these terms and conditions excludes or restricts Bigbury Golf Club liability for death or personal injury resulting from any negligence or fraud on the part of Bigbury Golf Club. You can cancel your booking by calling the club on 01548 810557 and quoting your unique reference number. Cancelled bookings may incurr an admin charge of up to £30. 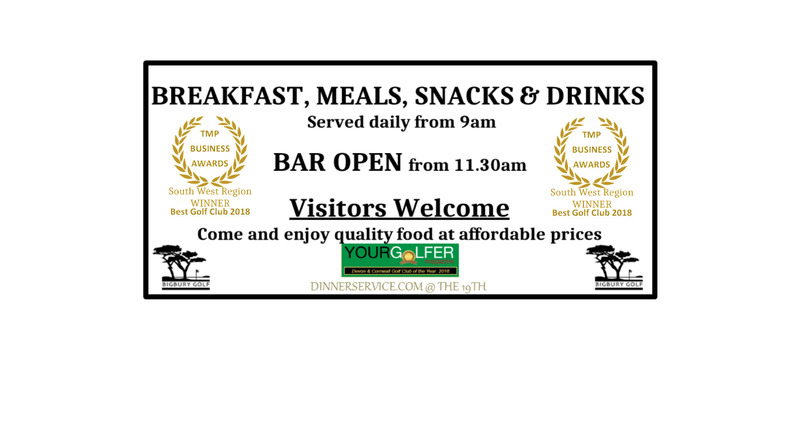 This website is owned by Bigbury Golf Club whose contact details are on the website. 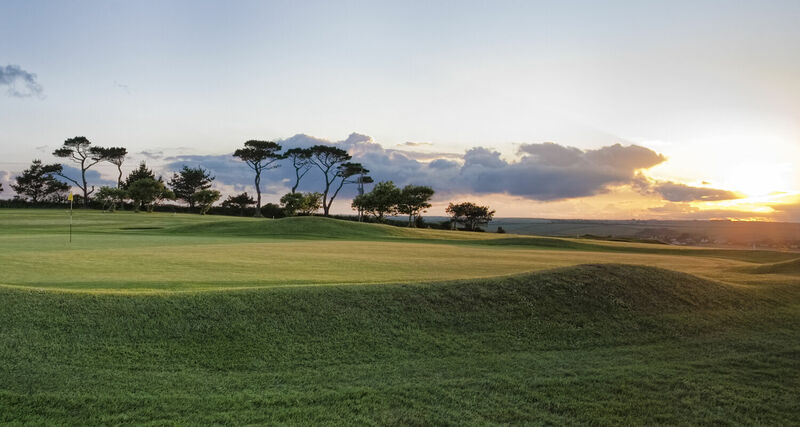 This Website is provided by IntelligentGolf on behalf of Bigbury Golf Club. 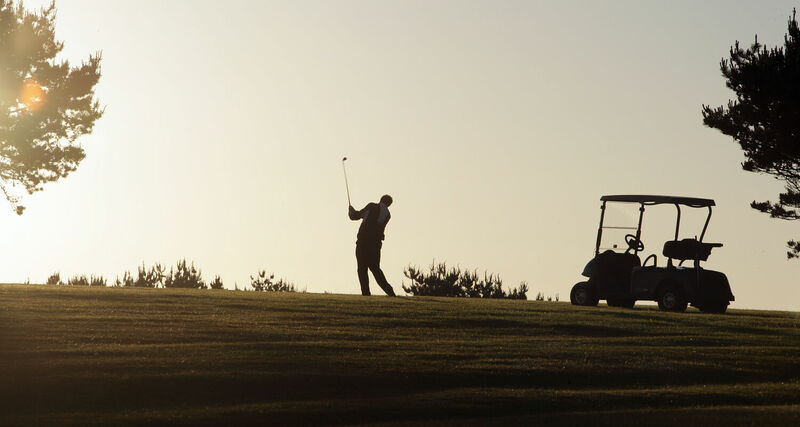 Bigbury Golf Club uses this website to provide online information and services, competition management and CONGU ratified handicap maintenance, for playing members of its Golf Club. Access to this website is via Bigbury Golf Club Membership ID and a User managed PIN number and is limited to Golf Club Members and selected Club staff who need access for the purpose of supplying and maintaining information relative to the primary functions of the website, as stated above. 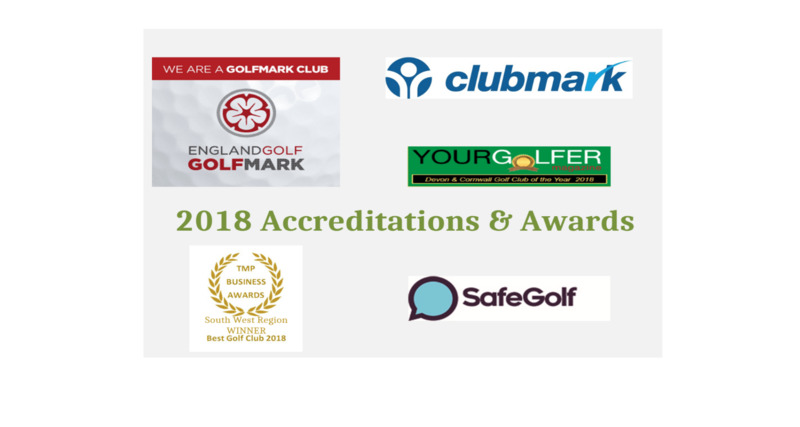 *CLUB NAME* will transfer from its own membership system only those personal details relevant to Golf Club membership such that a Golf Club Member may utilise this website effectively. 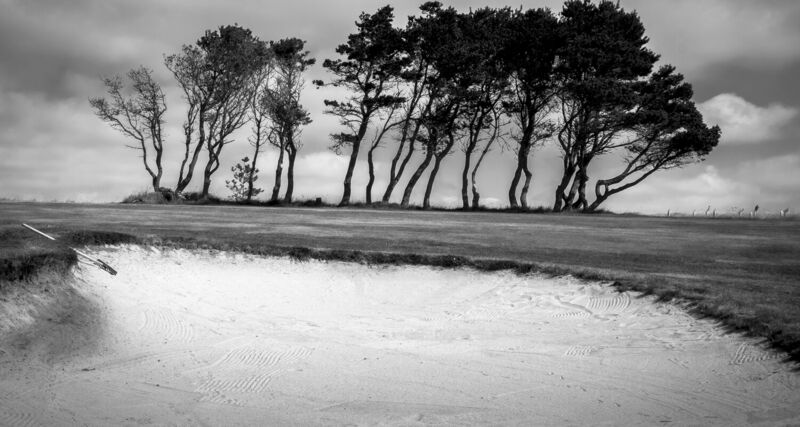 2) Communication between Golf Club Members, Committee Members and Staff to promote accessibility and enable the effective and smooth running of the club. 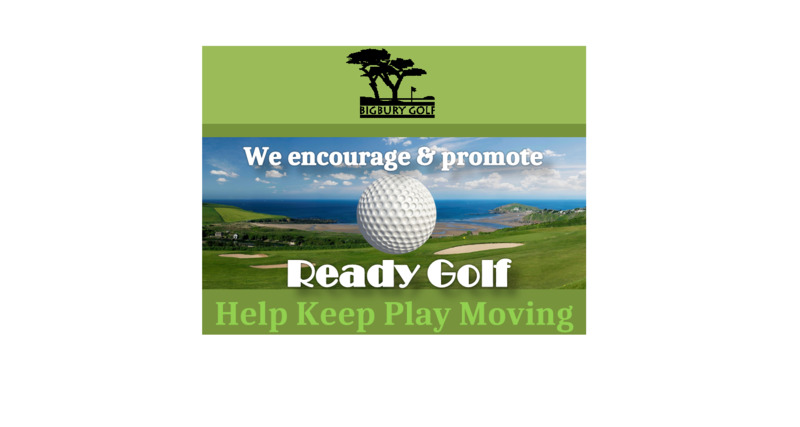 3) Contact information may be passed to Bigbury Golf Club membership system to maintain up to date contact information. Cookies are used throughout this website for tracking session data, and this data is discarded automatically after you leave the website. Persistent cookies may also be used to remember your Membership ID if this option is selected by you.